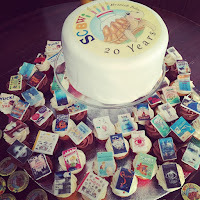 On Monday, the 20th of June, I took a day off to join in with the London SCBWI BI 20th anniversary celebrations. 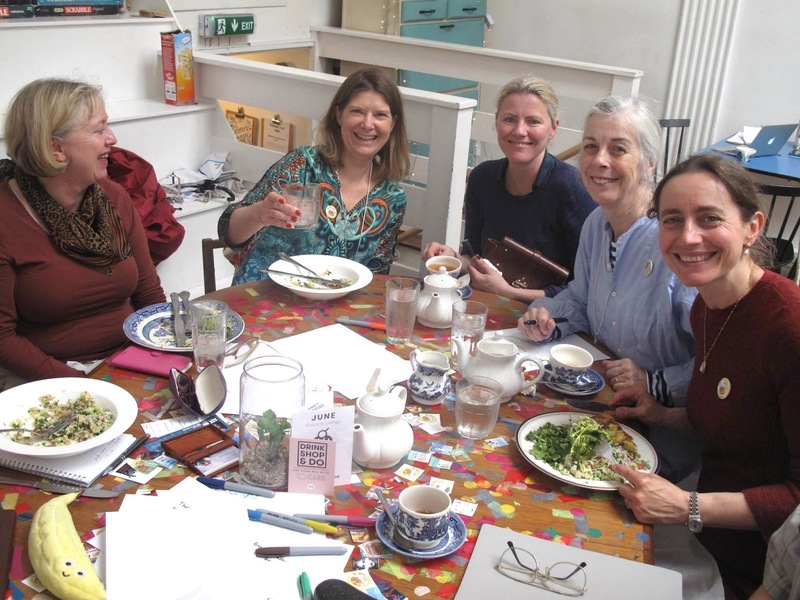 The first event was a brunch held at Drink, Shop & Do on Caledonian Road – organised by Tania Tay and Janey Robinson. The tables at the event were filled with tiny covers of children’s books by SCBWI members. While I sat there, I didn’t just witness poetry in motion; I witnessed poetry writing at supersonic speed by Tracey Mathis Potter. The poem was excellent, you can read it here . It came out perfectly with no need for revision. I was so impressed I almost asked for her autograph. 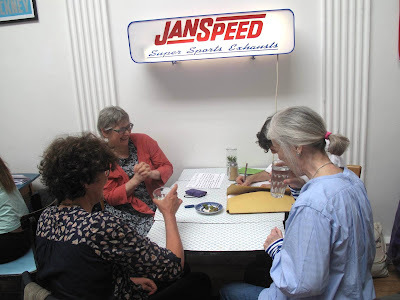 The second event was the sketch crawl organised by illustrator Anne-Marie Perks. It had been the first sketch crawl I’ve been on and I was worried whether I had the right footwear, but fortunately the trek was not a significant distance. It started in the café area just outside Central St Martins in the newly developed Granary Square at Kings Cross. We drew the passers-bys and anyone who stood still long enough for us to capture them. It was a great opportunity for me to start drawing again since I’ve had quite a long break from illustration. I drew a portrait of Janey Robinson – almost turning her into a lion woman with a great lion’s mane and I drew Julie Sullivan but didn't even attempt to make her look like an animal. We adjourned to a café and I drew the most ridiculous looking alien ever. What I found remarkable about the event was that we were drawing in numbers, no one came over and bothered us like they do when you see artists drawing alone. 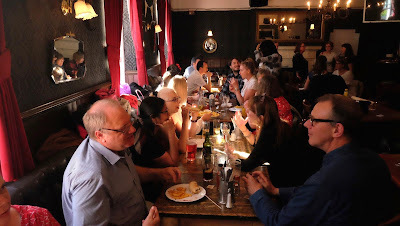 Next was the evening party held in The Lukin pub near Warren Street station. Literary agent, Felicity Trew joined us. Natascha Biebow started the proceedings with an inspiring speech. The first game was the lying competition. This wasn’t practise for becoming a politician. 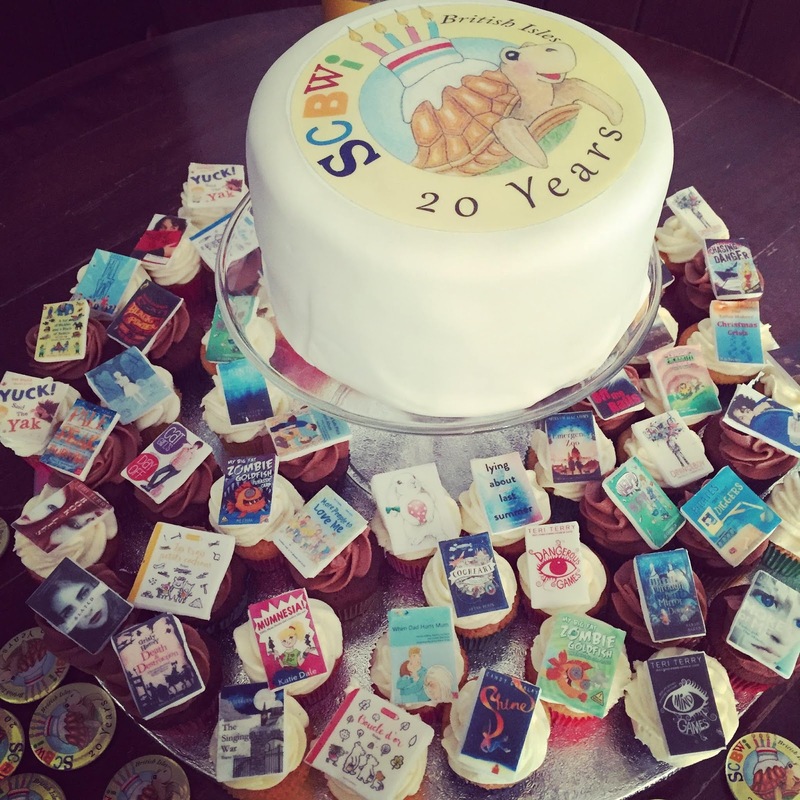 A SCBWI author recounted a chapter from their writing career and smuggled in untruths. Chitra Sounder was so good at this, that I can't actually recall the lie hidden in her story. 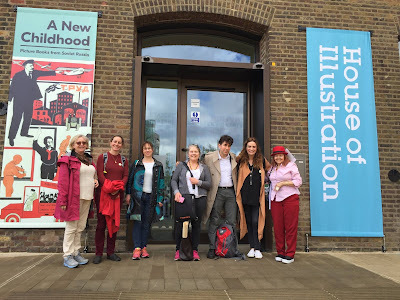 She told us about how her original illustrations for one of her books never reached her publishers because they were sent in the post and the postman had committed suicide (true). The New Delhi police arrested her when this book was finally published (true). When she moved back to New Delhi to finish her book, her mother tried to organise an arranged marriage for her (true). During all these events, I completed my final portrait of the day. Karen Taylor was my model. She said I gave her hair highlights that she could only dream about. Maybe she should borrow my felt tips and use them to colour her hair. 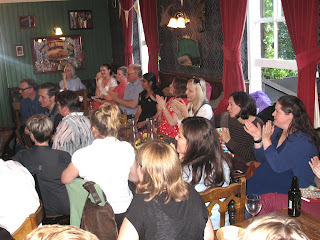 More poetry was coaxed out of us by the organisers and then read out by Karen Taylor with great enthusiasm and aplomb. Anita Loughrey was the victor. 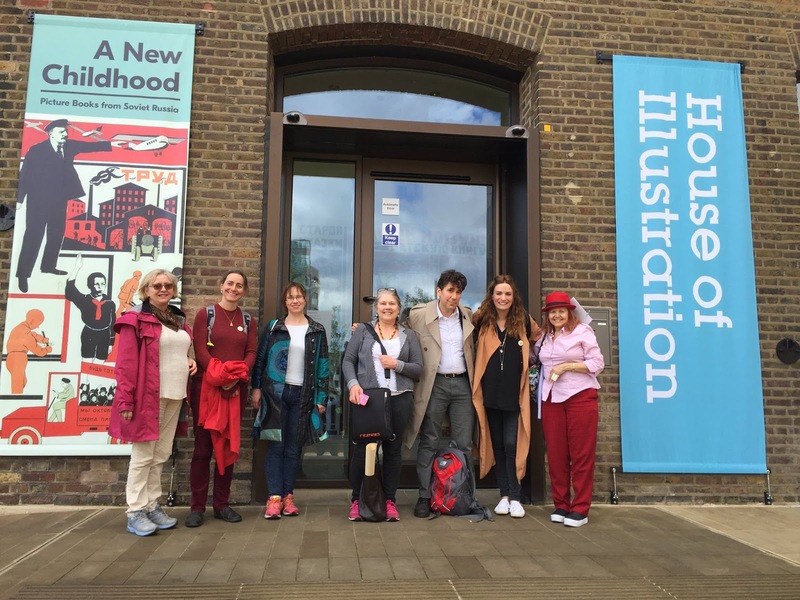 What followed was the drawing equivalent of ‘Give Us a Clue’ with Bridget Strevens-Marzo and other illustrators performing the drawing equivalent roles of Lionel Blair – depicting SCWBI author titles. The crowd was very good at guessing the titles, but I was abysmal. I thought if I kept calling out the same book title I’d eventually be correct just by the law of averages. All in all it had been a lovely day. If it hadn’t been for SCBWI I wouldn’t have met so many lovely people and joined critique groups or started writing picture books. 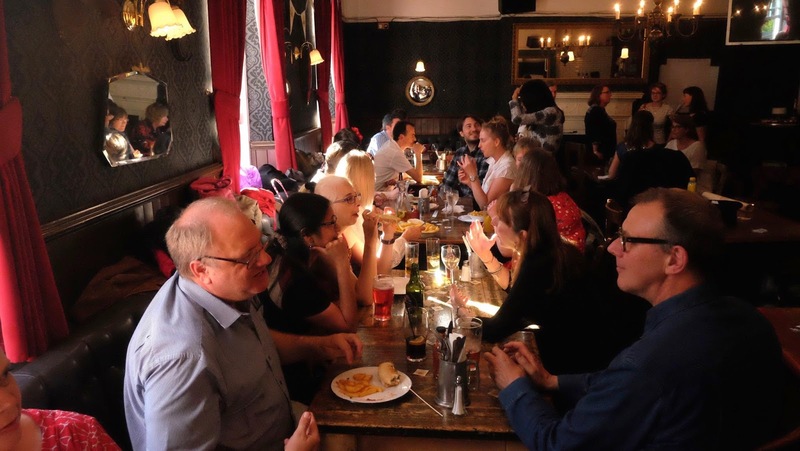 A big thanks to everyone who organised and participated in this event. 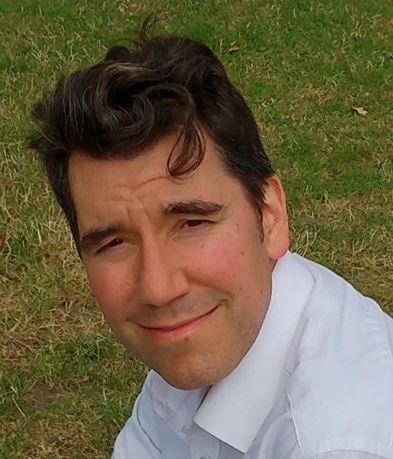 Andrew Syers is a member of pop up immersive theatre group The Teatime Wonder Game http://www.slowart.me/ - performing at Chelsea Fringe fesitval, Bermondsey festival, Camden Festival, London Bridge Festival 2014, Lambeth Country Show and at the Tea House Theatre. He is the author of the play, You Have Been a Wonderful Audience - performed at Barons Court Theatre http://www.drowningfishproductions.com. 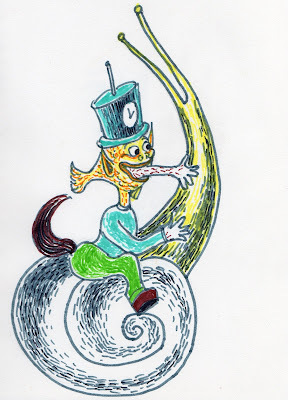 He is currently working on middle grade book, Freddie Low and the Hairy Staircase, onechapter book, The Boo Bush, four picture books and three early readers. There is no photo of him without his eyes shut. Sounds like a great day. Thanks for sharing! Thanks for sharing this. I couldn't make it so it's nice to read about the day here!